The PGA TOUR, the world’s premier membership organization for touring professional golfers, is once again partnering with the China Golf Association and is announcing it will operate PGA TOUR-China in 2018. The PGA TOUR-China schedule will consist of a full schedule of tournaments and will begin in spring 2018, with each event offering a prize purse of at least 1.5 million RMB, up from 1.2 million RMB in 2016. As is the case with all three PGA TOUR international developmental Tours, PGA TOUR-China will provide players a path to the PGA TOUR through the Web.com Tour, with the top-five money-winners at season’s end earning 2019 Web.com Tour membership. In addition, there will be at least 15 additional players who will have access to the latter stages of the Web.com Tour Qualifying Tournament. This past season, China’s Zecheng Dou and Xinjun Zhang became the first players from China to earn PGA TOUR cards after their strong 2017 Web.com Tour seasons, where Dou finished 17th on the money list and Zhang placed 21st. Australia’s Brett Drewitt PGA TOUR membership in 2016-17. “The essence of PGA TOUR-China is what the PGA TOUR offers, namely a world-class brand, global credibility and Web.com Tour access that gives players a path to the PGA TOUR. In addition, we’ve seen several players who have played in China move to the Web.com Tour and then advance to the PGA TOUR. It was thrilling to watch Zecheng Dou and Xinjun Zhang both realize their dreams by following this path all the way to the highest level of golf, the PGA TOUR,” said Ty Votaw, Executive Vice President of PGA TOUR Global Business Affairs. Prior to the start of the 2018 regular season, PGA TOUR-China will hold Qualifying Tournaments at to-be-determined sites, for players from Mainland China and players from the rest of the world, respectively. As golf continues to grow, PGA TOUR-China expects to attract a truly international membership, with the majority of the players coming from Asia. “We believe PGA TOUR-China will weekly present outstanding competition played at strong golf courses throughout the country. Our 2018 season ensures that we’ll continue providing exceptional playing opportunities for our players,” said Greg Gilligan, Managing Director of PGA TOUR Greater China. “Sport is undergoing reform in China, and we think it is an important and positive reform. We are very pleased to be working in concert with the China Golf Association and are happy we are in a position to offer playing opportunities on a high-level Tour played to PGA TOUR standards, the same quality players and fans have come to expect. 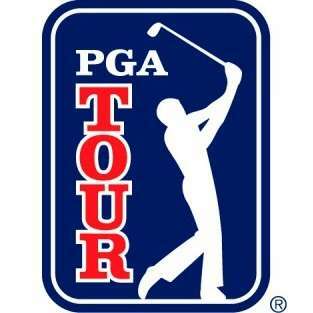 “We are delighted to cooperate with PGA TOUR again on this tour new tour. It not only provides a broader platform for Chinese players, but also enriches the existing men’s professional golf tournaments in China.” said Xiaoning Zhang, President of the CGA. The PGA TOUR-China Series began in 2014, five months after then-PGA TOUR Commissioner Tim Finchem and the CGA’s Zhang announced its formation at a press conference at the World Golf Championships-HSBC Champions. It immediately added credibility in a country where golf is still a relatively young sport. In the three years of its existence, PGA TOUR-China Series has sent players to the Web.com Tour and subsequently the PGA TOUR, with players also winning on the European Tour and performing well on the Asian Tour. PGA TOUR-China Series immediately established itself as a high-quality golf tour, a place where up-and-coming players could hone and display their talent. In 2014, then 19-year-old Li won three tournaments in China and advanced to the Web.com Tour and held membership on that circuit before moving to the European Tour after winning the 2016 Volvo China Open. He represented China at the 2016 Summer Olympics in Brazil. Earlier this year, Li had the highest PGA TOUR finish by an alum when he was third at The Open Championship in England. Following in Li’s footsteps has been Dou, another 19-year-old from China, essentially doing the same thing. Dou, from Henan, won four 2016 PGA TOUR-China tournaments, earned Player of the Year honors moved on to the Web.com Tour. In July, at the Digital Ally Open outside Kansas City, 20-year-old Dou became the first player from China roots to win on the Web.com Tour. His three-stroke victory was worth enough money that secured him membership on the 2017-18 PGA TOUR. By virtue of his Web.com Tour money-list finish, Zhang also secured his PGA TOUR membership and both players played in the PGA TOUR’s season-opening event, the Safeway Open in California.